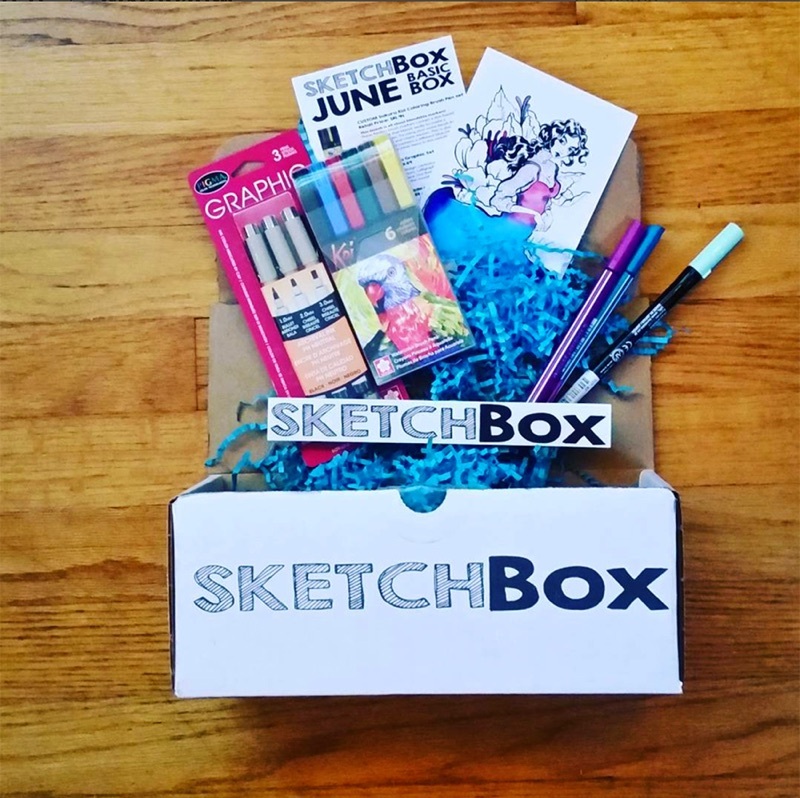 Our June 2017 basic box focused on blending markers. It contained a CUSTOM set of Sakura Koi Coloring brush markers. These flexible brush markers contain a dye-based transparent ink that blends easily to create a multitude of hues. Try using your water brush from last month to blend and create washes. This is also a CUSTOM set that contains a different blue meant to pair well with the other items in this month’s sketchbox! The kit also included a Sakura Pigma Graphic Set. Ideal for graphic design, cartoons, sketching, and free-hand illustrations, calligraphers and or as a bold line pen for any piece. Use them to add outlines to your marker piece this month. We also included an EXCLUSIVE FIRST LOOK at the Stabilo Point Max markers. These .8 mm markers feature water-based ink in vibrant colors. What makes these special are their nylon nib which produces a very robust tip which won’t fray like other fiber based nibs. We picked turquoise to pair well with the point 88 pen in your may box, and lilac to give you a new color to test as well. Finally we included a Kuretake Zig Art and Graphic Twin marker in green shadow. These markers are filled with a waterbased dye that is blendable with the Sakura set. The flexible rubber brush tip creates a variety of line and stroke sizes, while maintaining its spring and shape without fraying. The fine-point (0.8 mm) fiber tip is ideal for detail work, sketching, or finishing touches.